Best Pizza Restaurants with Delivery Playa Blanca Lanzarote There are 25 products. Pizza Tonelli : Tomato Sauce, Cheese, Prawns, Pepper, onion and mushrooms. Pizza Restaurant Playa Blanca Cafeteria - Takeaway Playa Blanca, LanzaroteTakeaway Food Delivery Lanzarote- CanariasDelivery Available for Playa Blanca, Femes, YaizaFood Delivery Service - Lanzarote. Pizza Bolonesa : Tomato Sauce, cheese & bolognese sauce. Pizza Restaurant Playa Blanca Cafeteria - Takeaway Playa Blanca, LanzaroteTakeaway Food Delivery Lanzarote- CanariasDelivery Available for Playa Blanca, Femes, YaizaFood Delivery Service - Lanzarote. Pane Arabo (Focacce) : Cheese, tomatoes, lettuce, serrano ham. Pizza Restaurant Playa Blanca Cafeteria - Takeaway Playa Blanca, LanzaroteTakeaway Food Delivery Lanzarote- CanariasDelivery Available for Playa Blanca, Femes, YaizaFood Delivery Service - Lanzarote. Focacce Classica : cheese, tomatoes, lettuce, ham . 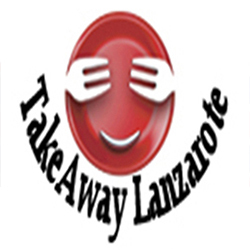 Pizza Restaurant Playa Blanca Cafeteria - Takeaway Playa Blanca, LanzaroteTakeaway Food Delivery Lanzarote- CanariasDelivery Available for Playa Blanca, Femes, YaizaFood Delivery Service - Lanzarote.